Holding the record for the longest running comedy thriller in Broadway history, Deathtrap has high expectations as it heads to Birmingham. Leading the cast are some well known faces from televion of Holby City actor Paul Bradley and EastEnder's Jessie Wallace. 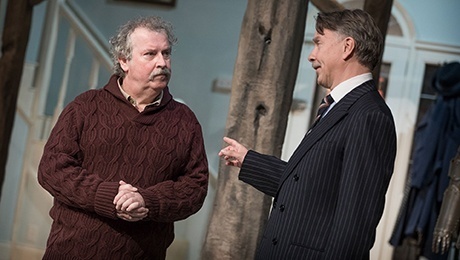 DeathTrap will be performed at the New Alexandra Theatre in Birmingham for five days only from November 7 to 11. This spine-chiller has been billed as keeping audiences on the edge of their seat and "a nerve-jangler", so it won't be for the faint of heart. Although the play is more of a who-will-do-it rather than a who-dunnit, it is a thriller that will keep people guessing with plenty of twists and turns. The plot is based around the character Sidney Bruhl, who is a once-successful writer of stage thrillers. 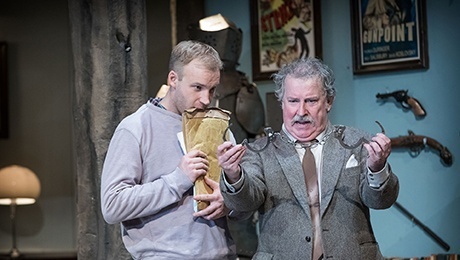 The play opens with Bruhl in the grip of writer's block, when he is sent a brilliant new thriller written by young playwright Clifford Anderson called Deathtrap. Desperate to set Broadway alight once more, Bruhl is faced with whether to kill the newcomer in order to pass the play off as his own, but does he have the audacity to do it? Written by Ira Levin in 1978, Deathtrap gained notoriety for holding the record for the longest running comedy-thriller on Broadway - running for four years with almost 1,800 performances. The play was also nominated for the Tony Award for Best Play and its success even led to a film adaptation in 1982 starring Christopher Reeve, Michael Caine, and Dyan Cannon. Now Birmingham audiences will get a chance to see this fresh tour of the play. This latest touring production also brings together two stars from soap opera EastEnders. Bradley spent six years playing Nigel Bates in EastEnders before moving on to become TV favourite Professor Elliot Hope in BBC1 medical drama Holby City. 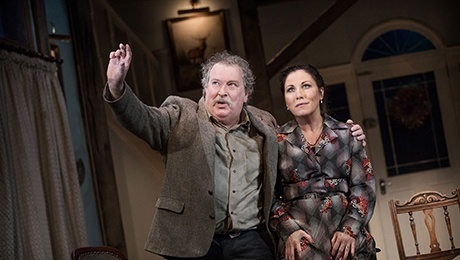 Popular Jessie Wallace is best known for having created the iconic role of Kat Slater in EastEnders, which then led to the spin-off series, Redwater. The play, which is brought to Birmingham by TBO Productions in association with the Salisbury Playhouse, has a running time of 2 hours 25 minutes including an interval.